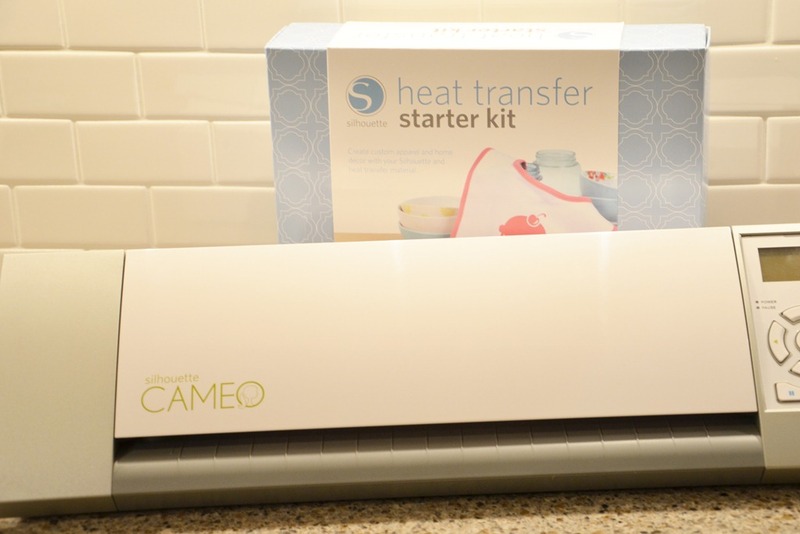 I have one Silhouette CAMEO™ and a Heat Transfer Kit to give ONE IDEA ROOM READER! Leave a comment on this post telling us why you would love to win! 1. Follow the Silhouette blog. Come back and leave a comment here letting us know. 2. Follow Silhouette on Pinterest. Come back and leave a comment here letting us know. 3. Follow The Idea Room on RSS or Google Friend Connect. 4. Follow The Idea Room on Pinterest. 5. Share this giveaway and leave a comment telling me where and how you shared it. You can also order your own Silhouette CAMEO® with a Heat Transfer Kit for $269.99 (MSRP $340)! *To take advantage of this great deal you can click here! **If you already have a CAMEO you can get the Heat Transfer Kit for $24.99 and/or you can get 40% off of any Heat Transfer Materials (Smooth and Flocked) click here! 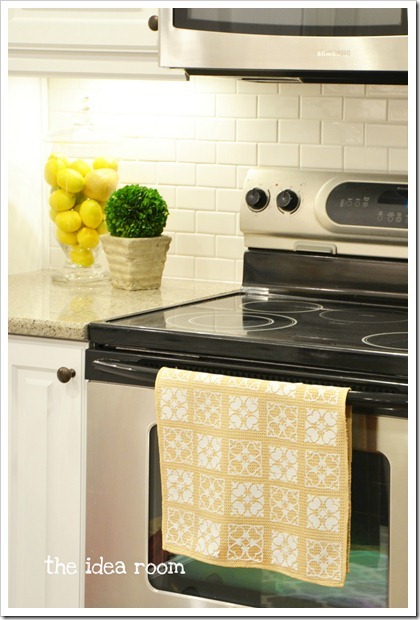 I was able to make this fun Kitchen Hand Towel for my home using the Silhouette Heat Transfer Kit. I will share the full tutorial later this week on my site. Want to see some other Idea Room Heat Transfer Projects? Go Ahead and Enter…or head on over and purchase your own at that great deal! You can find other Giveaways here to increase your odds of winning! *Entrants must be U.S. residents and 18 years or older to participate. This giveaway will close on April 8, 2012 at 2:00 pm MT. The winner will be announced back here later on April 8, 2012. I would love love love a silhouette! I want to use it for scrapbooking, and cute banners and decor. I want to decorate onesies for my daughter and cut fabric! I would love to win the Silhouette Cameo because, I have taken so many pictures with me DSLR camera and I need to start scrapbooking, but having to cut out all the designs by hand is very time consuming, plus the Silhouette Cameo would allow for more intricate cut outs that you can’t get a very clean look with cutting out by hand! I am following Silhouette on Pinterest! I Shared the Silhouette Cameo giveaway on Pinterest on my craft board! I recently quit my job in order to go back to school full time. I hated the job I had and was absolutely miserable. I would love to win this so that I can run an etsy business making crafts and doing what I love for once in my life! I would also like to use it in order to decorate our new home! I am following silhouette and idea room on pinterest. I’d love to win the Silhouette Cameo because I make greeting cards all year round AND I have a baby shower and a bridal shower to plan soon. I can think of a million uses for it. Thanks for the chance to win! Oh my gosh!! I would LOVE to win the Silhouette Cameo!! I have SO many projects I would love to use it on!! I would love to win so I can finally make the things I pin! I’d love to win this Slihouette Cameo because I could make so many wonderful things with it! I follow The Idea Room on Pinterest. I follow the Idea Room on Pinterest. Thanks for the chance to win! I subscribe to The Idea Room via RSS. This looks like it would be so fun to do projects with my grandkids! as much as i love my cricut, it is limited in usage. i’ve seen SO much that the rest of you do with your Sil machines, and it makes me SO jealous. my limited ways would be no longer limited, and i’d be able to spread my wings and FLY!!!!! thanks for the awesome giveaway! I’d love to win because I’s love to gussy up some.shirts and other craft projects I have in mind! I follow the Silhouette blog via Google. I follow.their.blog through Google friend! I would LOVE to win a Silhouette… there are so many times I’ve thought, ahh, if I just had a Silhouette I could add this to a certain project, or I could actually make that!! We could do some really fun stuff to show off on our blog :) Thanks for hosting this giveaway! Follow Idea Room on RSS! Follow Idea Room on Pinterest! sharing on my facebook page…. I would love this for all my home projects! I would love to win this prize because I have seen so many wonderful projects that you can create! I am a follower of the Idea Room through RSS. I would LOVE to win this silhouette!! I’ve been wanting to knock out a few projects & this would make things so much easier!! pick me! pick me!! I follow The Idea Room on Pinterest! Following The Idea Room on pinterest!! I would love to win! We just moved into a new house and I have so many projects I could do if I had one. I’d love to win a Cameo. I need to make some signs for an upcoming craft show and I think this would be the perfect tool. And I’d probably get it done in no time! Thanks for the chance! I’m now following The Idea Room on Pinterest! I follow The Idea Room on GFC! I would LOVE this because I want to finish decorating my house and to finish so many projects from pinterest. I would love to win since I didn’t win the Mega Millions Lottery…..
Would love to win…friends rave about them and say the intricate cuts are soo much better than other electronic cutters out there! I would love to win the Silhouette because it’s so cool! I have seen tons of great projects on your site using the Silhouette! I would love to be able to make some of them for my home. I would love to win! I love everything you can do with these! Oh! I would love to make my three kids sooo many things! How fun! I’ve been impressed with what the silhouette can create and would love to win one! I can finally make the projects I have been pinning on Pinterest. I Love making new things and tried a few simple projects from that site and this would only help me more. Thanks and good Luck everyone! I have a new grandbaby and would Love this to make him all kinds of goodies and to scrapbook his life. I would LOVE to win a Cameo! What a useful tool to have in my creative arsenal. :) I’m excited to see just what it can do! I’d love to win to cut fabric shapes to make appliques fast and easy! I would love to win it just to see how many creative thing I can make for my home and my love ones. Why WOULDN’T I want to win a Silhouette?? I’d probably start by making a t-shirt for my little boy and a onesie for my little girl. I would love to win this so much! At the moment I do any cutting for my DIYs by hand, this would be such a time-saver!! Ahh! I would love love love to win a Silouhette! Ive wanted one for a while now to make my own subway signs and such but $$, kids, food on the table.. blah..blah..blah. You know the deal ;) fingers crossed!!!! I follow you on Pinterest . I’ve been a follower of Silhouette on Pinterest! I’m now a follower of Idea Room on Pinterest! I so need one of theses to decorate my new house…mostly to viyl cut letters telling my children to ‘turn off the light, close the door, throw away the empty toilet roll, pick up your clothes’, but above all ‘make good choices’…my mantra to them as tbey leave for school! I would love to put that over the front door! I follow Silouhette’s blog… Now to get one so I can use all these great ideas!!!!! I would love to have a silhouette!!! I’ve got so many projects to make, so much time, just not alot of money to pay someone else. I so hope I win!!! Oh, and I love your Blog!!! I’m following The Idea Room on RSS! I would love to win this so I could do the project for my kids bathroom that I have wanted to do for the past couple of months. Thanks for having such a great giveaway. I follow the Silhouette blot! I would love to win the Silhouette! I have never won anything. I have so many things I want to make after seeing the blogs and Pinterest! I’m still kicking myself for not ordering during Black Friday! I would LOVE a Silhouette Cameo!!! I follow The Idea Room via google reader! WoW! Can’t believe it! It is my dream! Many thanks for the chance to win! I am the follower of the idea room blog. and now following the Pinterest group also. I would love love love this! How fun it would be for parties, crafts and more. I can think of a million ways I could use this – but it’s a bit pricey on my budget right now. Please please please pick me! I would so love to win one of these! Especially for home projects…baby projects…fabric projects and the list goes on! I want to be able to cut out fabric with this machine! I’m following the Silhouette blog via GFC! Following The Idea Room via GFC! I literally dream of owning one of these. I follow Idea Room by email. There are just so many possibilities with the Cameo and it’s backed by terrific customer service, who wouldn’t want it? I’d use it for Home Decor, kids school projects, scrapbooking & crafts, and quilting. The Cameo is the best!!! I follow Silhouette on Pinterest. Love their ideas! i follow The Idea Room on Google Friend Connect. I would be making some awesome wall hangings, home decorations, and tons of kids crafts. I get The Idea Room RSS. I would love to win and be able to make all of the beautiful things that I see on your website. I need to win!! I live outside of the US with my military husband and could use some help with my crafting! I would one to win this to help make my projects easier to do and also to help my sons with their school projects. I would love to win because I’ve been wanting a Slhouette since I’ve heard about them a while ago and it would be perfect for craft night with my 2 step daughters! I would love to win a CAMEO…this machine rocks! I would love to win this Silhouette Cameo. I do so many crafts, and I have never had anything likes this! I get the Idea Room by email. I am following the Idea Room on facebook. I want to win one so I can make awesome shirts and decorations and all the other fun stuff it does! I just left a comment saying I follow you on facebook. I do but I meant to say I follow the Idea room on Pinterest. i don’t want to get an extra entry so I will say on the one that I follow Silhouette on Pinterest on the comment too. I don’t know how to delete my comment. I am friends through google reader with the Idea room. There are oh so many projects I could make with this little beauty! I just can’t afford to buy one right now. Would love to win it! I follow The Idea Room on Google. I now follow the idea room on pintirest. I’d love to win! What an awesome giveaway! I follow the silhouette blog via Google connect. I follow the idea room via Google connect. The possibility of projects is endless! Winning this Silhouette Cameo would be bomb! I give away most of the crafts I make. The Silhouetter Cameo would really allow me to “WOW” folks with my projects! I would love to win one because of the endless possibilities that will be realized the this amazing outlet!! I NEEEED it! Why I would LOVE this awesome cutter? Need I say more…it’s awesome…I think. I’ve been wanting one for years and other things always seem to go on the to buy list in front of it. I follow Sillhoutte on Pinterest. Follow Idea Blog on RSS feed and have for years. I’m a pinterest fan of yours now. A silhouette would make my craft life so much easier! I would adore a Silhouette for so many reasons…..but mostly, I want a Silhouette for the organizing possibilities!!! I would LOVE to have this machine. I have 3 kiddos and this Cameo would allow us to create so many projects together! I really want to specifically try out some vinyl projects and use the Cameo to cut fabric. I would love to win, I have so many ideas and fun things I would love to make! I am now following The idea room and silhouette on pinterest! I would love to win one of these. I’ve always wanted one!! I followThe Idea Room on interest! I’m following The Idea Room! I follow Silhouette on pinterest! interest! I shared this post on Facebook and Pinterest! OOOOOOOOH!!! I have drooled over all the Silhouette projects all over the internet ever since I first heard of it. The Silhouette Cameo would be a treat I’d love to have but would never buy for meself! I follow idea room on rs feed. I love crafting and this would just take that over the top!!! I would love a Silhouette machine to be able to make custom items for our home. I love to make designs to spruce up old shirts but it takes so long to cut out the stencils by hand that I am limited to what I can do. With a Silhouette machine, it would greatly increase the amount of designs I could do and I would not be limited to just shirts. Thank you for doing this giveaway! Im now following silhouettes blog! One of my biggest joys is creating unexpected personal gifts for people. The Silhouette would make it so much easier, although I can’t really justify the expense of one. It would be Christmas in April to have one. I would love to try one of these. I have so many plans and ideas that I could use this for. Thanks for the chance! I would love to win this! It would make my projects so much easier! I follow you on Pinterest. Great giveaway. I follow Silhouette on Pinterest. My fingers are crossed. We just bought a new house, so I need one to decorate it up!! I follow Silhouettes blog. I would love to win this fantastically creative machine. I follow the Idea Room on Google!! I would love to win so that my sons & I can craft some personalized tee shirts for summer. Thanks for the chance! I follow Silhouette’s blog on Google!! I am following you on Pinterest and I liked SILHOUETTE on Facebook. I would LOVE to win this because I’ve wanted a Silhouette forever! I have so many project ideas in my head. Thanks for the chance to win! I would love to have one if these awesome machines to get my craft on! Found you on pinterest and love what you have done with the Silhouette. I follow Sihouette on Pinterest. I have finally gotten back into consistent crafting and I just love everything this machine can do!!! I follow The Idea Room via RSS Feed. Love your blog! I would love to win this! I am expecting my first baby and can only imagine what amazing things I could create for him or her! I love your blog and love that you are a mom and still have this outlet go express yourself. I only hope to be as creative as you! Would love this machine! I keep seeing all these wonderful gift ideas but so many require a cutter like this! I would love to win this! I am expecting my first baby and I can only imagine the amazing things I could create for him or her! I think that this would be so much fun to do with my son! I can think of so many things that could make for myself, my son and friends! It would be very coll to play with! This Silhouette cameo is just what I need to make my new house a home! I’m following the Idea Room on Pinterest. I follow the Silhouette blog via GFC. I would love to win and make some awesome projects for my kids and my house! I’d love to win this frankly because it’s the only way I’ll ever get one! Our budget is tight, but I have a ton of projects I’d love to try! I follow the blog…. thank you! Thanks for this opportunity! I’ve wanted the Cameo since I heard about it last year. We just bought a big old house and I’m hoping to add lots of beautiful details – especially a “Welcome” to the front door and some great wall quotes. I follow the idea room, as well! Those beautiful lanterns are just calling my name to make them. I love this give away, I wish I could just go out and buy it all….but not reality. Love the chance to win. Those adorable scroll lettering…Labeling things to look pretty rather than to help others put thing away proper- or best of both worlds!! Thanks!!! I’d love to win so I could make holiday and birthday decor! I would absolutely love to win one of these – then I could do all the cute projects that keep popping up all over the internet. Due to an old injury, I can’t cut things out by hand. I would use this to do glass etching, perk up my grandkids clothing, make stencils to paint pillows and rugs.. and maybe a wall or two. I love home made cards and this would come in handy. Oh, you can believe it would get used all the time! I follow Silhouette on Pinterest! Thank you. I love your blog and check it daily via GFC. I check Silhouettes blog daily. Love it! Follow Silhouette via Pinterest also. I would love one of these for SO many reasons, biggest reason right now is I am organizing so much of my house and this cameo would make such cute labels! I follow The Idea Room on RSS or Google Friend Connect. I’ve been following The Idea Room blog for a year now and LOVE it. Thank you! I’ve been following your blog for a while now, and I Heart Naptime and Infarrantly Creative. I have just learned about Crap I’ve Made. The blog name alone cracks me up!!! I love all the die cutting tips and tricks. But I have a non-Silhouette machine and have often wondered what all the fuss was about regarding the Cameo. All my favorite bloggers use the Cameo. I would love the chance to own one and see for myself!!!!!!! Thanks for the chance to win! What couldn’t I make with this fun little tool? Thanks for the chance to win. I would love to win this. It would make our personalized vacation shirts much easier to make. The options seem endless with a Cameo! Woo Hoo! I follow The Idea room!!! Why would I want the Cameo? I LOVE DIY crafts, Home decor, and gift giving. This would be a GREAT tool to have to help my projects even better!! My daughter & I do a lot of crafts. This giveaway would make those crafts a little more fun! I follow You on PInterest also! Following the idea room blog! I shared and tagged on Facebook! I follow The Idea Room on Pinterest!! Following the Idea room on pinterest! Shared a link on my Facebook account! I’d love to win this! I can just imagine all of the things I would make with this! I would LOVE to own a Cameo because it will help me make awesome crafts to share with family, friends, teachers, etc. SO MANY THINGS I could do with one of these. Where do you start? I have seen all of the cool stuff you and others have made with the Silhouette and would LOVE to have one! :) Thanks for the fantastic giveaway! So many projects, so little time! The Silhouette Cameo would be a fun machine to help get all of my projects done!! I recently had a little girl and there are so many projects I would love to do for her! This would be so amazing! I would love to win a Cameo! I think Silhouette’s are such a fun resources in making your house a home and in making things to give away. I have been wanting one of these forever! I want to be able to make cute stuff for my daughter! Thanks for the chance to win! I would love a silhouette to decorate my kids’ room! This would be so fun to play around with. I love the idea of making my own shirts. I follow all your pin boards on pinterest! I would love to win to make neat things for my little one!! I follow the Silhouette blog!!! Woot. I have ALWAYS wanted a Silhouette!! 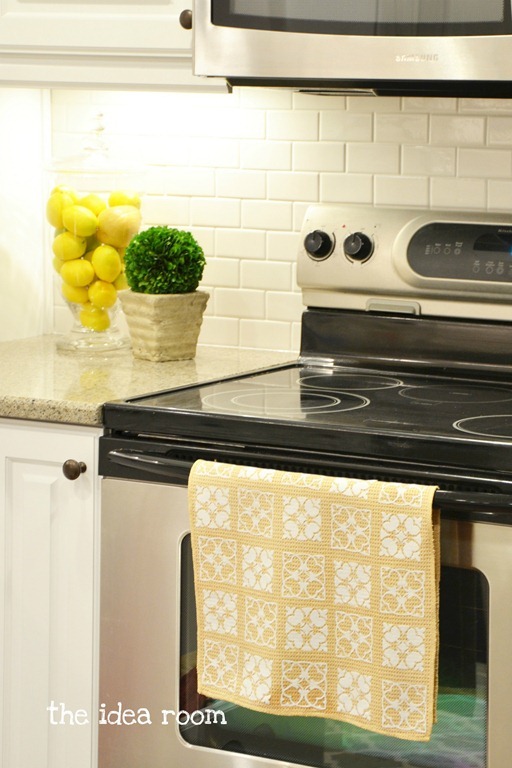 I would love to make some dish towels or placemats. I also love to go all out for my daughter’s birthday parties, so I’m sure it would come in handy there. I would love to win!! I follow IR through Google Friend. I would love to win to make some awesome labels for the kitchen and make some iron on transfers for our half marathons!! I follow The Idea Room on RSS too! i follow the idea room on google connect and rss feed! 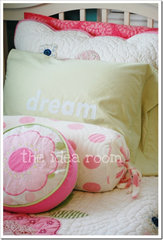 I would love to win this so that I could make cute sayings or designs for my kids rooms. i follow the idea room’s pinterest profile! I follow the Idea room on Pintrest! I would love to win a Silhouette! My cricut is about kaput and I need something to cut fabric and feed my obsession, I mean hobby! I’ve been wanting a Silhouette for what seems like forever! following the idea room on pinterest… thank you again! Thank you for the awesome chance to win. Now following 1,2,3,4. Shared on my Facebook page. I’m following The Idea Room on Pinterest! I have seen so many projects that use this, would love to win so I can take my crafting to the next level. I would LOVE to win a new Silhouette Cameo as my Original Silhouette Cutter is on its last legs. I <3 my Silhouette, but it keeps messing up cutting things and we are not really in a position to upgrade…winning one would be so amazing!!! I would love to have one of these! Thanks for the giveaway. I would love to win this Silhouette Heat Cameo! I throw many parties during the year for my family, from birthday parties to baby showers and this would be a great way to individualize each persons party and make them more special! This is a great product and I have been watching the price on them since I first read about them, but, they are a bit pricey for me right now. I love to make things and to have one item that can cut so many different items would make it so much easier. I think this product is the most amazing thing I have ever seen and read about! Good luck to all entries and for whom ever wins…LUCKY! I have been wanting one of these for so long, but just can’t afford one. I would LOVE to win! Thanks for the opportunity! I’m following the Silhouette blog with all their amazing ideas! I need a Silhouette! I am following the Silhouette Pinterest page and it is AWESOME!!! Would love one! I have so many things in mind for my new baby’s room and daughter’s 3rd birthday – both happening this summer! I follow Idea Room on Pinterest! I am following the Idea Room on RSS! I love being able to make it part of my Google page!!!! Who knew!!! I would LOVE to win one of these. I’ve wanted one, but haven’t been able to afford to buy one. Thanks for the giveaway!! Oh the things I could create with a Silhouette! I am so happy to follow The Idea Room on Pinterest! Now two of my favorites are in one place..plus Silhouette…I am a happy camper!!!!! I follow The Idea Room via RSS. I would love to win these products to do some home decor starting with heat transfer on canvas. I would love to make shirts with this! I would absolutely LOVE winning a Silhouette Cameo! My home is in sore need of some redecorating and this would make it so easy. Also, it would help me start creating some extra income to help put my husband through school. I’m a GFC follower of The Idea Room. Would love an opportunity to win – thank you! Hi! I follow Silhouette on pinterest! I would love to win one of these! My kids and I are always looking for projects to do together and this would be great. I love the fact that you can plug it into your computer. I also am a craft counselor for a girls group and I could come up with so many neat things for them to do! Following The Idea Room Google Friend Connect. I subscribe to The Idea Room via email! Following The Idea Room on Pinterest. I have so many crafts that I want to do that would be so easily done with a Cameo. Mainly decor and stuff for my kids. I also want to be apart of that elite Silhouette club, it seems awesome. I would love to win one of these to bring out my creative side! I don’t have many creative opportunities! I follow the Idea Room RSS feed using Google Reader. Oh my goodness….I love this giveaway!! I’ve been wanting a silhouette cameo for forever. Ever since I saw a project featured on a blog where they decorated buckets with vinyl cut from their silhouette, I instantly feel in love. I want one so bad so I can decorate accessories in our home with vinyl cutouts. I would put monograms on pencil cups to candles to Easter pails. Oh all the things I could make with the silhouette!!!! Shared on Facebook as a status on my wall to my friends. I have nine, count ’em, NINE wonderful grandbabies. I love to scrapbook, quilt and sew. A Silhouette would help SO much in making my projects extra special! I would love to win!!! I would love to win the silhouette so I could use it to make so many different projects for my entire family. How FUN!! Thank you so much for the giveaway! Here’s to hoping I win – I could really use some unique throw pillows right about now! I have wanted one of these for the longest time but it never seems to fit in the budget!!! Thanks for the amazing giveaway! 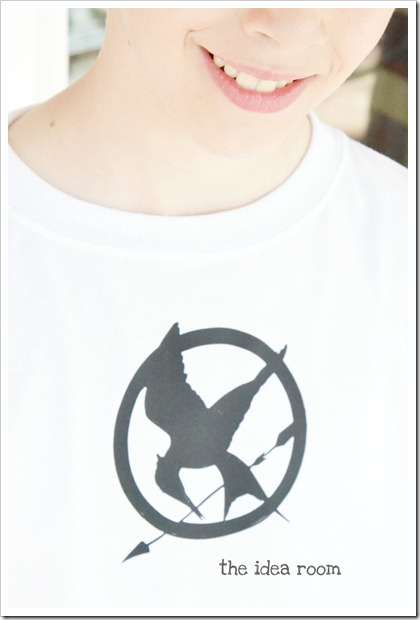 I would love to try something w the heat transfer for my daughter and then add a little bling! I’m beginning a new season of my life and love to do crafty things… so a Silhouette would be a wonderful thing to have…. and I would share it with my daughter, who happens to be a 3rd grade teacher… plus plus! For real???? I’d love a Silhouette to increase my crafty potential. Been dreaming about it and would love for it to become a reality!! Thank you for the chance to win a Silhouette cameo. I would use it for the cultural camp that I teach (for kids adopted from Russia), for my Girl Scout troop, for my catechism class, and for just fun projects around the house. I’ve wanted one of these since they came out but it’s a bit out of my budget right now. Thank you again! I would love a Sillouette machine. The project ideas are endless. My daughter is graduating from high school and I would love to use it for party decorations and for lots of home decor projects. I have been wanting a Cameo SO BAD. I would just about die if I won. I couldn’t even tell you the first thing I’d make. I would just be so excited and go nuts thinking of projects! I just began following The Idea Room on Pinterest. Wow, you have some great ideas pinned to your boards! Thank you for sharing them. 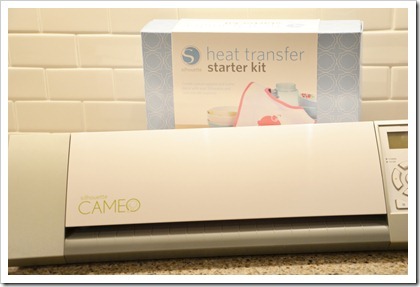 I would love to win the Silhouette Cameo Heat Transfer giveaway. I am a recent empty nester and would love to begin some new projects (now that I have time). Good luck to all. Omgoodness!! I would love, love, love to win this! How could anyone not what one! There are so many projects on my to do list, if only I had a Silhouette! This tool would take my crafting to the next level! I would love a Cameo to make all the cute stuff I see everyone making with it!!! Simply put, I’d love to win because I literally have a spiral bound notebook filled with things to do with a Silhouette Cameo but have yet to be able to actually purchase one. I LOVE the creativity that is possible with it. I want to win because it would make lettering signs SO much easier! Hand lettering is great and all, but very time consuming and there’s so much room for error! I would love to win this, it would be so nice to not have to cut my scrapbook paper to 9″ before I can use the Silhouette. I would love this. There are so many different projects I’d love to try and this would get used so much! I follow the idea room blog! Wo hoo! What a great giveaway! I’d love to win, well because who WOULDN’T love to win?! Love all the great cut files that silhoutte has and how detailed and intricate they are! Ooh… I have so many ideas I could use this for! :) Thanks! If I won, I would be so inspired by its endless creative possibilities. I’m a long time follower of The Idea Room! I want one of these in the worst way! And it’s my birthday on 4/10 and wouldn’t it be the greatest present? Well, I didn’t KNOW I needed one until I started reading all of you bloggers and what you were doing with it! Now, I definitely do NEED one!! Yes, please, and thank you! I like Silhouette on Pinterest! WE are making handmade crafts with the foster children in our program to raise awareness about children in care and child abuse. This would be a huge help! LOVE it and could have so many cute things on my walls and done for my children with this! Follow The Idea Room on Pinterest. I would love this so I can be a little more crafty. I think with a silhouette I would have more motivation. I have so many ideas! I shared on my wall on Facebook about this giveaway. So many ways I would use this….where to begin? Home decor, stuff for grandchildren, cards, pillows, I could go on and on! I know I would use this ALOT…hope I win! That kitchen towel is so sweet. I’d love to win so I can make cute things like that! Me, me, pick me! I need to win or I’m going to burst! I would love to have this! My son has been asking for a shirt with a cello on it and now I would be able to make him one! Exciting! I have seen so many fun projects that I would love to do with the Silhouette! I’ve been wanting one of these for a long time. I shared on Facebook so all of my friends are going to sign up, decreasing my chance to win. I would love to win! The possibilities with this machine are endless! There are SO many projects to be done with this machine! I already follow Silhouette on Pinterest and LOVE the ideas that are pinned!